We invite you to discover the identity and specificities of the Andean country in which we operate, Peru. 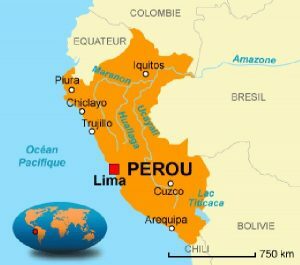 1 285 215 km2, Peru is the third largest country in South America, after Brazil and Argentina. Lima is the capital of the country and its main economic centre. Peru can be divided into three distinct topographic regions: the coastal plain (Costa), the Andes (Sierra) and the Amazonian lands (Selva). Each region has its own characteristics: climate, resources, vegetation, and economic development. The coastal plain is a narrow strip of desert stretching over the length of the country. The numerous rivers coming from the Andes and running towards the Pacific allowed the irrigation of the region, originally very arid. Most of the Peruvian cities and industries are concentrated in this coastal plain. East of the coastal plain, the Sierra covers about 30% of the surface of Peru. It is an upland region that includes the high mountain ranges of the Andes, high plateaus, as well as deep gorges and valleys. More to the East, the Selva (mainly composed of tropical forests) covers 60% of the territory. According to the legend, Cusco was founded in the 12th century by the Inca Manco Capac after the ancestral God of the Sun Inti gave him the mission to find the centre of the earth (“qosq’o”). The ninth Inca, Pachacutec, gave the puma form to the capital of the empire. He even diverted the course of the rivers for irrigation purposes and erected temples, palaces and fortresses. He might have been the architect of Machu Picchu. In 1532, under the command of Pizarro, a group of Spanish people went to Cusco to ambush Atahualpa (then Emperor Inca). They captured him and murdered thousands of Incas. To get back to his freedom, Atahualpa offered a room filled with gold and two others filled with silver. Unfortunately, this did not seem to satisfy Pizarro’s greed. He murdered him before he installed Manco Inca who had to establish the Spanish authority. The latter tried to rebel, but it was a mistake that allowed the conquistadors to plunder Cuzco and make it a colonial city of little importance since their economic centre was in Lima (present Peruvian capital). The Inca civilization has remained strong in the city and its surroundings. In the region of Cusco and the “Sacred Valley” one can find the ruins of the Inca period (Sacsayhuamán, Pisac, Ollantaytambo, Moray, … and the well known Machu Picchu). This heritage makes it the first tourist region of Peru. 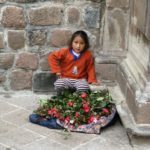 Poverty is present at the gateway to the historic centre of Cusco. Find more videos and photos of Samuel Brault by clicking here. 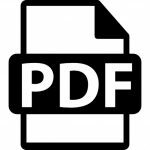 To find out more about the socio-economic profile of the families the association supports, read the study we carried out in 2012 (click on the icon to download it. In French only). We are eager to sensitive you in this very present plague to Cusco, but also in the rest of the country: the begging and the child labour. Please be aware that it is forbidden to give money to minors. 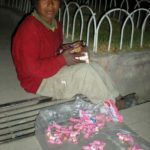 Child begging is a crime in Peru. To give money to those children will not help to extirpate them from this situation. Especially since they are often used by their parents, some are even rented by an adult beggar for the day. It is therefore rare that they get the whole amount of money. We would also like to share with you the campaign launched by the Yachay program : “La calle no es su lugar”. It aims to reduce the number of children working or living on the street by informing the population, concerned families and local authorities. 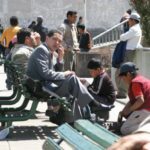 What is the Yachay Program? 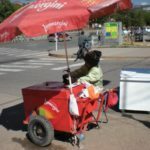 Piloted by the Peruvian Ministry of Women and People in Difficulty, it helps children and adolescents who are working, begging or living on the streets, or are sexually exploited. Its objective is to enable these victims to develop in a suitable environment, by giving them access to care, education and being mediators in disadvantaged families. Several campaigns have been launched to inform of the plague among the whole population. School: is it free and compulsory? Generally the class starts at 8am and finishes at 1pm. Sometimes, other children go to school in the afternoons. For example, Sagrado Corazon is a college of girls in the morning, boys in the afternoon. Others change their name, director, uniform between morning and afternoon, as in AVA. Finally other colleges do it by level, the good ones in the morning … and so on until the evening! * Compulsory: mathematics, Spanish (comunicación), English, history (personal y social), sciences, sport, art and culture, religion. In the case of religious classes, if the children are not of Catholic faith, they may be dispensed by a written request of their parents. Often in remote villages and villages, these religious classes do not exist because of lack of qualified teachers. * Optional: manual activities, music, quechua. The difference is notable. The fewer roads, tourists, politics, dynamic director, the less help! We invite you to look at the first part of the video below: a glance at the educational and social context. Report made by Les compagnons Uni’vert au Pérou in Peru, volunteers at the Picol school in August 2016., volontaires à l’école Picol en août 2016.